I was first introduced to Lee Garden approximately thirteen years ago when my friend Daniel Huezo took me there for steamed pickerel late one evening as the grand finale to our all-day seafood "tour" of Toronto. Our seafood tour started by accident when we met for lunch one day – after having a couple "Coctel de Conchas", we jumped into a cab and zig-zagged our way across Toronto from one restaurant to another – lobster, crab, mussels, clams, scallops, shrimps, a lengthy visit to Rodney’s Oyster House – numerous restaurants, nothing but the best, more than twelve hours long and a ridiculous sum in cab fares… Epic! As it turned out, ending that day with a visit to Lee Garden was the perfect finale. I recommend having the steamed pickerel (with ginger and green onions) as well as their baby bok choy with Chinese mushrooms. The latter is not on the menu, but if you ask for it they’ll make it. I order this all the time but no Chinese restaurant I’ve been to anywhere seems to make it quite as good as at Lee Garden. The steamed pickerel is also better here than I’ve been able to find anywhere else, by a long-shot. Apart from the great, unparalleled food, one of the other things that separates this place from it’s many neighbours is that they always give you something for free. Be it their complimentary house soup before you start your meal, or a daily dessert that they’ve specially prepared, you always get something more. There are four words that I would use to summarize this place – exceptional food, exceptional service. I was sick on New Year’s Eve and Michelle and I had already decided to spend the night at home with our three dogs anyways, but I still felt like eating out (if nothing else) so we headed down to Lee Garden for some dinner that night. I hadn’t had lobster in a long time so when I saw that Lee Garden had lobster with ginger and green onions on the menu that night, I just couldn’t pass up the opportunity. That was one year ago. This year for New Year’s Eve dinner , Michelle and I decided (at the last minute) to do the same. I took my camera along for the trip this time so that I could finally write up a more extensive review of Lee Garden. The photo of Lee Garden’s storefront, as well as the photo of their empty restaurant, was taken from their website. All other photos below were taken by me though. Whenever I’m in the mood for a proper, dish-based Chinese meal, Lee Garden is the place I go. (King’s Noodle Restaurant is by far the Chinese restaurant I go to most often – it’s more informal of a place, but also significantly cheaper and still great food. Different vibe…) You can see from the photos above that Lee Garden is a white tablecloth type of restaurant, but still casual dining with paper napkins and not an over-the-top attention to detail like you’d get from Crown Princess, for example. The food at Lee Garden is of unquestionably high quality though and very few restaurants in Chinatown come close. Yes, it is pricier than most other places in Chinatown – if their attentive, better-than-average service doesn’t attract you, then their food alone is still enough to justify the higher prices. Fresh ingredients skillfully prepared. The photos of the Lobster (seasonal price) and Mixed Vegetables ($12) were from our New Year’s dinner from last year (taken with an iPhone) – you’ll notice that since then, they’ve also changed their plates to plain white, which I think is classier, looks more modern, and does a much better job of framing their masterpieces, no? Both the lobster and mixed vegetables are fantastic choices and very memorable. Yes, the mixed vegetables dish is actually memorable! Chinese Mushrooms with Baby Bok Choy ($15) is one of my favourite things to order at any Chinese restaurant whether it’s on the menu or not, but nobody else comes close to preparing it as good as Lee Garden. They load it up with tons of deep fried garlic, but I don’t think that’s what it is – there’s just something else about it that no other place seems to be able to match. Also, their Steamed Pickerel ($15) is still the best I’ve had anywhere and I highly recommend you try it. Simply exceptional. The Beef Tenderloin with Avocado & Cashew Nuts ($20) is another favourite, as is their Mixed Seafood with Chinese Vegetables in a Taro Bird’s Nest ($22 – sorry, no photo). Ever since having the lobster at Lee Garden last year I’ve been dying to go back and have it again, but with so many exceptional dishes at Lee Garden, it’s easy to get sidetracked into ordering something else just as good. Their Cantonese Chow Mein ($14.50) is also very respectable – Michelle doesn’t like that they often burn too many of the noodles, but I actually like having the occasional charred bits in my Chow Mein. The Shrimp Won Ton Soup at Lee Garden ($9.50/$11.50/$19 – no photo) is a great way to start a meal – it’s noticeably fresh and light tasting and comes in an excellent broth that is a challenge not to finish… (Normally I don’t go out of my way to finish all the broth in a Won Ton Soup, but at Lee Garden it’s too good to leave behind.) Simple pleasures, masterfully executed. Really, there hasn’t been any dish that I’ve regretted ordering at Lee Garden and each one truly is a small masterpiece. The service at Lee Garden is also not as exceptional as I remembered in my previous article, but I was probably in shock from receiving decent service from a Chinese restaurant. Yes, Chinese restaurants are commonly known for their poor service so in comparison, Lee Garden really is exceptional, but still not quite the level of service you’d expect from a fine dining restaurant. (Not that Lee Garden is a fine dining restaurant.) That being said, I’ve never been offended by the service at Lee Garden and I’ve always felt like I’ve been served in a respectful and attentive manner. The staff are courteous, friendly, very helpful, always there when you need them and they obviously strive to deliver a memorable experience, most of the time. The only thing missing is an unwavering commitment to consistency and an impeccable attention to detail – maybe that’s being too picky? Lee Garden isn’t open for lunch and gets very busy at dinner time. They also don’t take reservations but they’ll take your name down if you call in advance and move you to the front of the line when you get there. They’re so busy that it makes sense to do it this way. And yes, there’s almost always a long line up. Whenever I’ve had to use the washroom at Lee Garden it’s been hit-or-miss as to how clean it is. There’s only one stall, it’s dark and feels like a dungeon, so it’s not the most comfortable experience – it’s my only gripe with the place and I wish They’d renovate it, but I seldom use public washrooms anyways. I highly recommend trying Lee Garden and if you’re not in the mood for fish, try the Beef Tenderloin with Avocado & Cashews if nothing else. 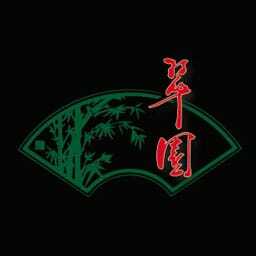 Lee Garden Restaurant was published on Wednesday, January 11, 2012 at 12:02pm EST by Daniel Menjívar and last updated on April 11, 2018 at 9:30pm UTC .